Walter Uhl – Sessions Leader | Jack B. Keenan Inc.
Walter Uhl , looks back on more than 25 years of experience in Sales and Marketing. After his studies of English and French literature in Freiburg, Oxford, Grenoble, Tübingen and Perugia, Mr. Uhl used his language skills to make a cross-entrance into business. He was working for 4 years with Zeiss, CHG and Liebherr until 1987 when he decided to take a Master‘s degree in Business Administration (MBA) at the business school Luigi Bocconi in Milan, Italy. After his MBA he started his career with Hewlett-Packard in the European Marketing Center in Böblingen, then joined HP’s Swiss Sales Organization where he sold for 2 years to the Process Industry in Basle. In 1991 he returned to Böblingen as HP’s Account Manager for Daimler-Benz. In 1995 Mr. Uhl became the Sales Manager for Health Care Information System (HIS) in HP`s Medical Division covering Switzerland, Austria, Italy and Eastern Europe. And in 1997 – after HP Medical‘s withdrawal from HIS – Mr. Uhl was appointed Global Account Manager for Daimler-Benz – later DaimlerChrysler. In 1999 he joined Xerox as a General Manager for the Global Account DaimlerChrysler, serving as a role model for Xerox‘s new account focused sales organization. In 2000 Mr. Uhl started as an Associate Partner with ON-Target, now The TAS Group, specializing in sales processes and methodologies. 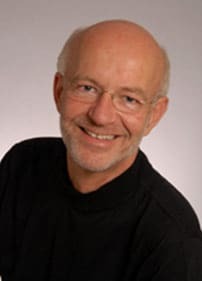 Since January 2001 Mr. Uhl has been working as an independent consultant with a special focus on sales of complex solutions – sales organization analysis, sales processes and methodologies, big deal coaching and trainings.